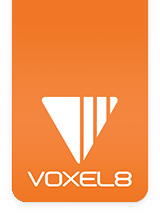 Before activating your machine, you must register a Voxel8 Dashboard account. 1. After visiting the URL: https://dashboard.voxel8.co/login, you will need to register a new Voxel8 account via the “Sign up” link off of the login page (see Picture 001-A). Picture 001: Voxel8 Dashboard login page. 2. First, read the Terms and Conditions (see Picture 002-B). Check of the box when you've read the entire agreement. 3. Then fill out all the required form fields on the "Sign Up" page, and click the "Sign Up" button (see Picture 002-A). If all fields were entered correctly, you will be redirected to the "Login" page again with a confirmation message. Picture 002: Voxel8 Dashboard Sign Up page. Picture 003: Voxel8 Login page confirmation link sent. Picture 004: Voxel8 Login page after clicking the confirmation link. 4. Wait for the email account verification link and when it is received, click the “Confirm my account” link to authenticate your Voxel8 Dashboard user account. Picture 005: Voxel8 Dashboard registration confirmation email. NOTE: If you do not receive an account confirmation email from Voxel8, then please check your spam folder for one. Otherwise try again.